Hotel 81 Gold is located in the vibrant Geylang District, a 10-minute walk from Aljunied MRT Station. 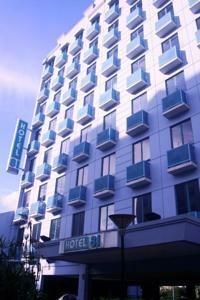 Surrounded by many known eateries, it offers affordable accommodation with free wired internet. Air-conditioned guestrooms at Gold 81 are fitted with tea/coffee making facilities and satellite television. The en suite bathroom comes with hot shower and a hairdryer. Gold Hotel 81 offers laundry service arrangements. City tour bookings can be arranged at the hotel’s tour desk. Parking is available at a charge. Hotel 81 Gold is a 15-minute drive from the popular Orchard Road. Changi International Airport is a 20-minute drive from the hotel. Rooms: Hotel Rooms: 98, Hotel Chain: Hotel 81.